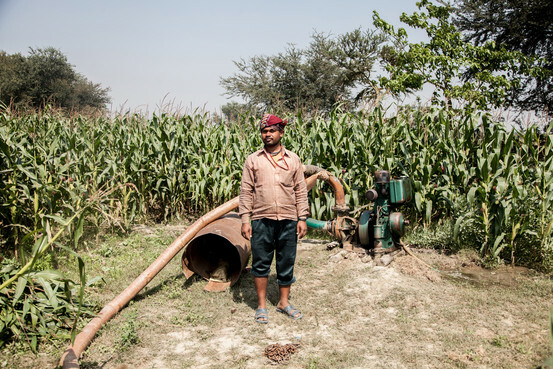 As a teenager, Ram Singh left this remote rural village and moved to fast-growing New Delhi to chase the spoils of his country’s economic boom. For 14 years, he toiled in tiny, primitive factories making everything from auto parts to components for light switches. His wages barely kept pace with the cost of living and eventually he gave up on city life. Today, he is back on the farm, scratching out a living from a small plot of land near his birthplace where he grows corn, wheat, potatoes and mustard. Just a few years after India was hailed as a rising economic titan poised to rival China—even surpass it—growth in gross domestic product has slowed to a pace not seen in a decade. The Indian economy expanded at an annual rate of 4.7% in the last quarter of 2013. That may be sizzling by Western standards, but it is a serious comedown for a country whose GDP growth peaked at 11.4% in 2010. Inflation is high, workers aren’t finding jobs, and industrialization and urbanization are stalling. via As Growth Slows in India, Rural Workers Have Fewer Incentives to Move to Cities – WSJ.com.